This is a program for first-time homebuyers. It is a 0% interest, non-repayable, 3% of the purchase price grant. This is used on a Conventional Fannie Mae loan. Right now there is limited good inventory in Fort Lauderdale and South Florida. 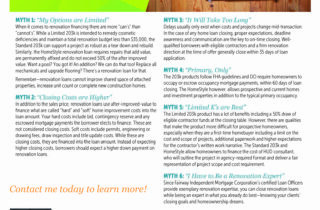 That is why you need to be using a renovation loan now more than ever.